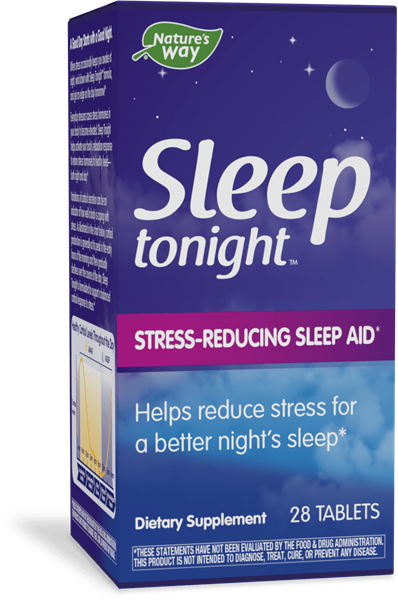 Sleep Tonight!™ / 28 tabs - Nature's Way®. For adults, take 1 tablet before bedtime. Increase to 2 tablets during times of high stress. Sensoril® is a trademark of Natreon, Inc., and is protected under U.S. Patents 6,153,198 and 7,318,938.